President Ulysses S. Grant died of throat cancer July 23, 1885, only 4 days after he finished writing his memoirs, Personal Memoirs of Ulysses S. Grant. He was mired in debt from financial catastrophes and bad investments, but Mark Twain’s publishing company sold over 350,000 copies of Grant’s two-volume book set which brought his widow, Julia Dent Grant, out of debt and into prosperity. Grant’s presidency was marred by one scandal after another, though, Grant was never personally implicated. In spite of that, when he died, Grant was a national hero and one of the most beloved Americans of his day. Upon his death, his wife made the decision that President Grant would be buried in New York City. Almost immediately fundraising efforts began. 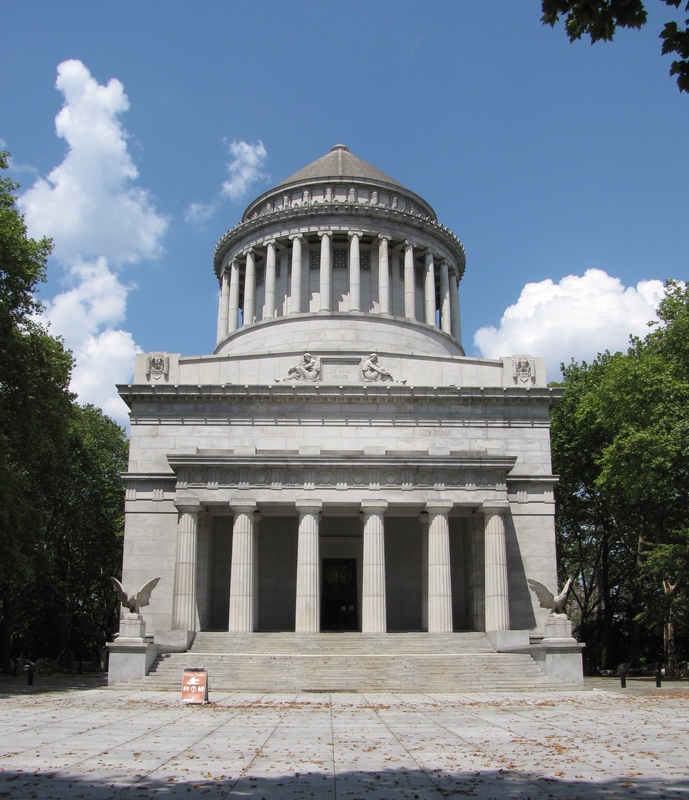 Soon after a design competition was won by architect John Hemenway Duncan, who designed a towering mausoleum with the exterior modeled after the tomb of King Mausolus, for which the term mausoleum derives. 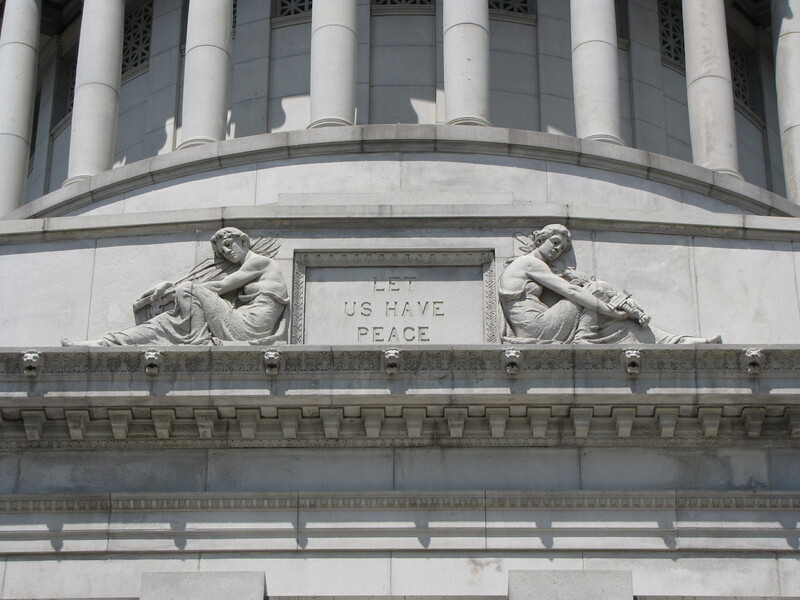 The mausoleum is one of the largest in North America. It was built with 8,000 tons of light gray granite. The tomb symbolically faces South. Grant’s only wish regarding his death was that he be buried next to his wife Julia. 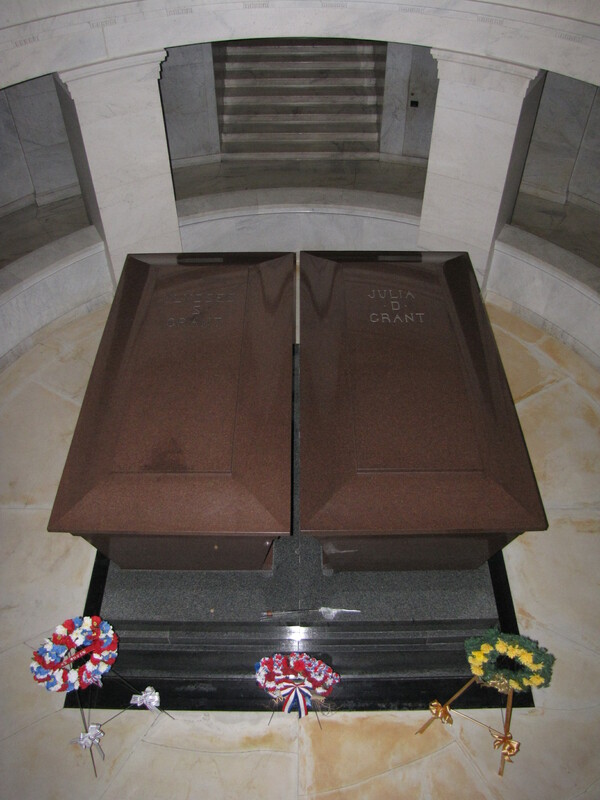 The twin red-granite coffins containing President and Mrs. Grant can be seen from the circular gallery inside the memorial. 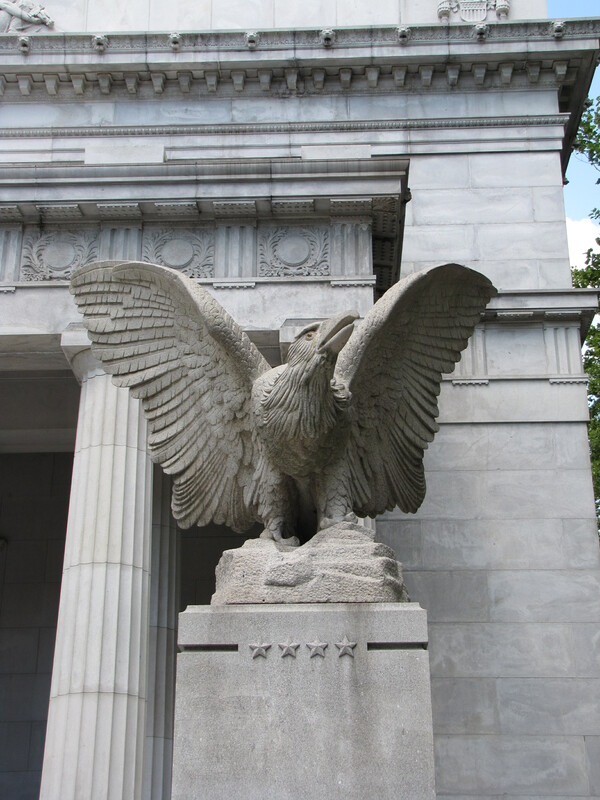 Two large sculptures of eagles flank the entrance to the tomb resting on large blocks that have four stars carved on them denoting Grant’s 4-star ranking.